The Ingenico ICT 220 is a countertop terminal ideal for most retailers. The terminal is capable of connecting either using Dial (or telephone) connection or over the Internet (connected to a router). 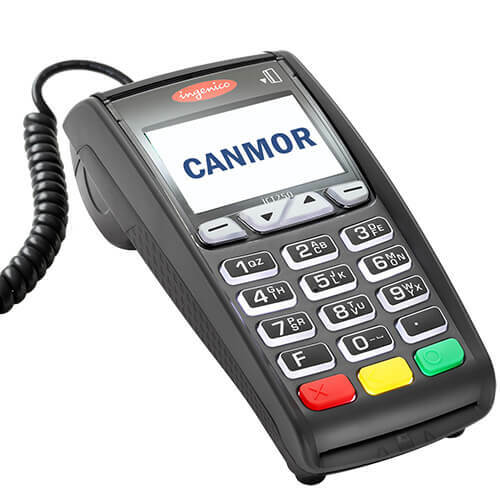 It incorporates the latest technology able to accept contact chip cards. It is a flexible, lightweight, handheld terminal that enables fast, secure, error-free transactions for on-the-go merchants. This terminal does not support card tap (Tap N Go) or other contact-less features such as ApplePay, Android Pay, etc. Accepts debit and credit chip cards and gift cards.